Dreadful presentation. Would have liked to have seen More of the items and details of the new car, and not just quick Millisecond captions, . Why does the camera spend Ages and ages show the Face of the presenter, talking doing the presentation, when we could have seen MORE of the Car and NOT of him waffling in a dreadful accent. Voice over is OK, but vision is important. 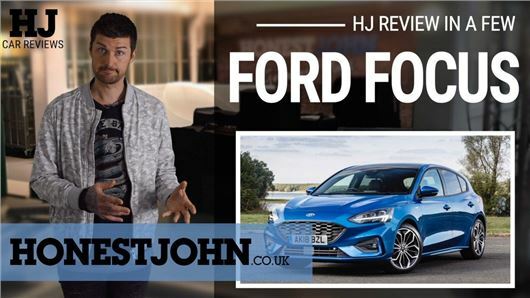 I must agree with the above comment,s--True what he said about the voice, almost impossible for my ears to string two words together- really I am an avid reader of Honest John's articles and opinion about all matters of motoring--Always concise and informative. True; I like the North East accent in its various guises. The reviews always have a nice balance of humour and useful information, which make them more watchable in my opinion (especially when you are watching multiple video reviews trying to decide on a shortlist!). Wow regents and holmes's comments are so puerile, how I would not like to spend anytime in their company, it would be more fun having a chat with a house brick. Keep up the good reviews Mark which are actually very informative if you listened properly. I do not have a North East accent, but so what. May be if you cut some of the pointless pop ups we would get to see the video! I have no problem understanding the accent, though it is fairly definite. But golly, he's irritating. As are the interpolated segments. Fewer attempts to be funny, more information please. I also find this guy really irritating. Not as good as Matt at Carwow or James (?) from AutoExpress or Ginny and Rebecca. Just give us the details and reserve teh funny stuff for the stand up gig at his local pub. The simple answer here is to not watch his videos. Simply go to Carwow or Auto Express if you think those are better. +1 for loving the northeast accent! It's the generic, boring, privileged sounding ones that drive me mad! No problems with the accent, but the cutaways are annoying and add nothing.